Facebook Instagram deal delayed by investigation? See what we've done there? What does $1 billion get you aside from a bunch of washed-out hipster looking photos? A right pain in the neck, by the sounds of things, as Facebook's plan to buy Instagram is delayed by investigation. The American Federal Trade Commission is apparently looking into the deal because there's a chance that it could be anti-competitive. Although the investigation hasn't been confirmed by anyone officially, the Financial Times broke the news by way of two sources 'familiar with the matter'. Quick round of Monopoly, anyone? A competition investigation is pretty standard practice for a deal worth this much money. The FTC's investigation is said to include seeking information from major Facebook rivals Twitter and Google. 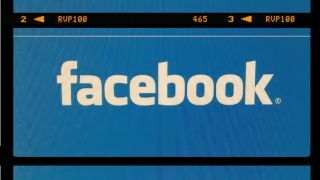 It's likely that the deal will still be approved after the close scrutiny, but experts think it will probably hold the close of the deal up until after Facebook's self-imposed deadline of end of June. It's one thing after another for Facebook which is currently aiming for a smooth-sailing IPO session; yesterday it conceded that it's in danger of losing advertising revenues because its mobile apps are so successful.